which is called “ECO TANKER”!! Eco Tanker is a valuable and useful tool which is able to collect target subject, easily. 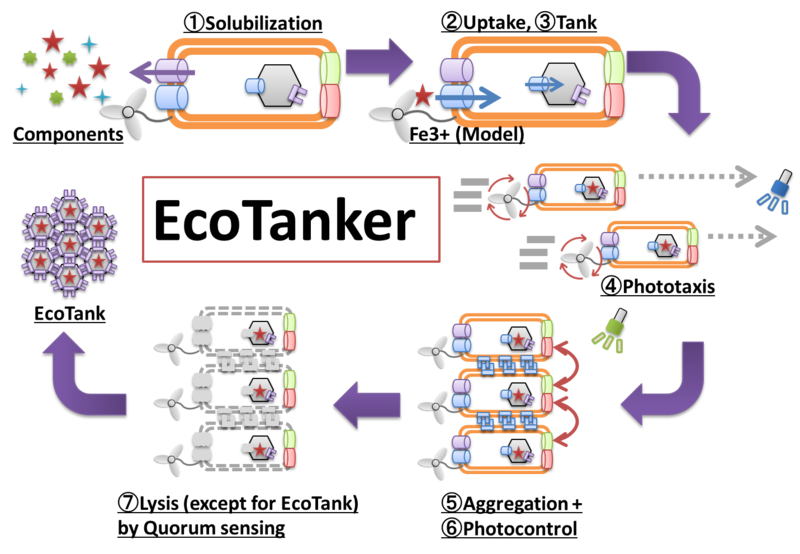 First, Eco Tanker is able to bring in target subject, and then Tank in Eco Tanker take in and concentrate it. Next, the E.coli including the tanks filled in the subject gather together and aggregates by several light stimulation. Finally, E. coli is automatically lysed by aggregation. 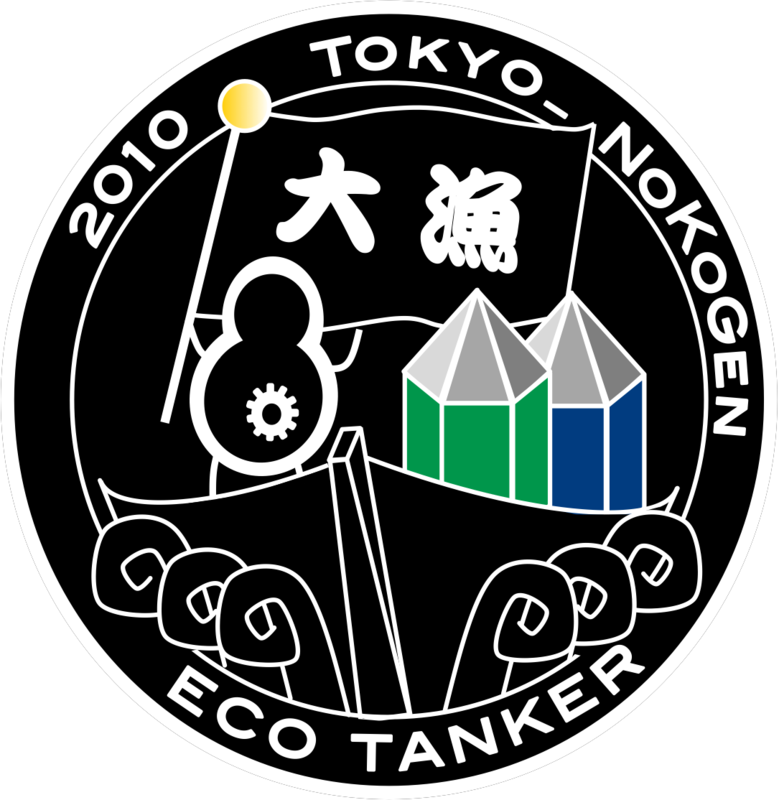 We expect Eco Tanker as the tool of resource recovery and the means to remove the contaminant. 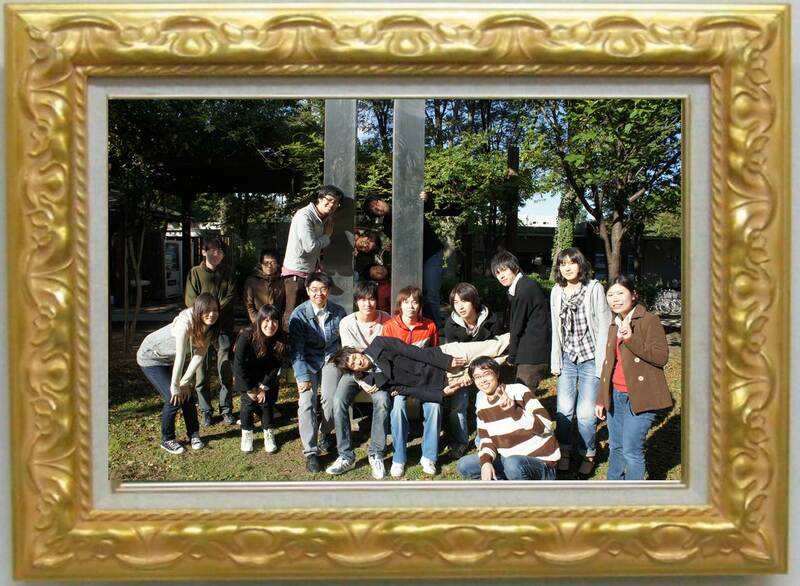 We are the team of Tokyo University of Agriculture and Technology, from Japan.